For most of the season, the Utah State Aggies have blown out opponents on offense and, at the same time, stifled them on defense. Their play has led to some lopsided final scores and heaps of praise. But against Colorado State on Saturday, the Aggies didn’t play their best. A last-second call negated a whistle-beating Rams touchdown, and Utah State prevailed 29-24 to come away with a 10th straight win. The game presented the type of adversity that the team has dodged most of the season, but the outcome certainly was welcome. In the locker room, Aggies players were thrilled but felt a collective sigh of relief. There haven’t been many games this season in which Utah State came that close to losing. Head coach Matt Wells recalled a one-possession game in the fourth quarter against Air Force in which the Aggies had to make two stops and score themselves to win. Then there was the tight win over Colorado State. 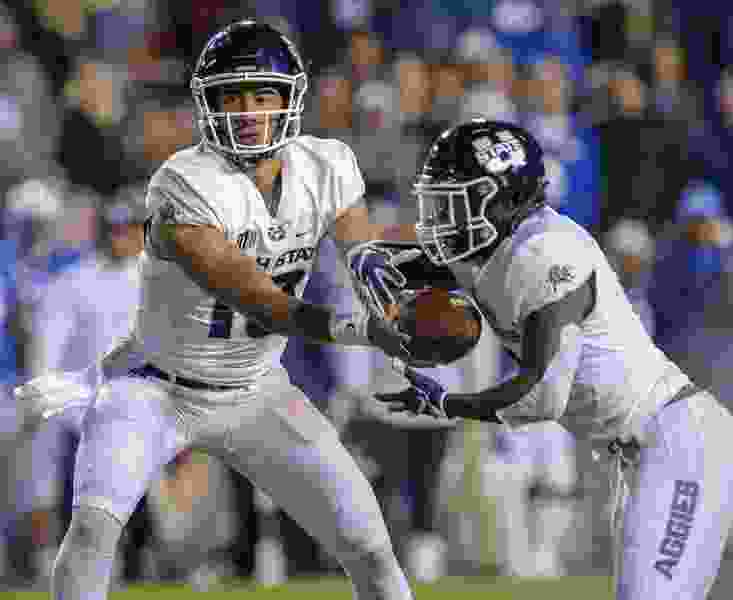 But Wells believes his Aggies tasting such adversity can do nothing but good for them as they prepare to play Boise State on the road Saturday for the Mountain West Conference’s Mountain Division title. The Aggies were displeased with their play against the Rams. Vaughns said the team started out slow and had find a way to pick things up in the second half. Wells said none of football’s three phases — offense, defense, special teams — went well for them. After playing in snow in Colorado, Utah State anticipates similar weather in Boise this weekend. Vaughns said Saturday’s conditions served as a preview, and he hopes his teammates adjust more quickly this time around. Wells also mentioned the bad weather when describing how proud he was of his team’s resilience against Colorado State. The forecast for Boise on Saturday shows a low of 27 degrees with a 20 percent chance of precipitation. The game kicks of at 8:15 p.m. MT.